What’s Involved in an Engine Rebuild? Is an Engine Rebuild Worth it? One of the most important parts of our car is the engine. The car’s engine is able to take burning gas and use that as energy to move the wheel that help drive the car. Without the engine, we are unable to drive our car to work, school, or places that we need to go. In order to keep our engines functioning the way that they should, regular maintenance will need to be performed. While the engines are important and we want to make sure they are in great shape, auto maintenance is something we typically forget to do. Whenever maintenance is put on the backburner, the car engine can start to develop issues. Sometimes a simple repair can fix the issue, but other times you might need a complete engine rebuild. 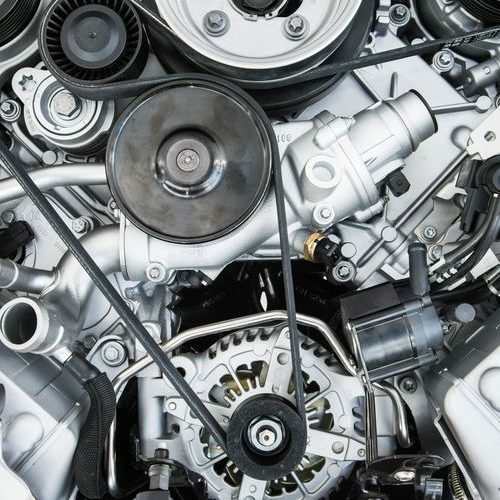 A lot of people ask, “What does engine rebuild mean?” and it means that an auto mechanic takes out the entire engine and disassembles it, inspects it, and cleans it, and then replaces any parts that are damaged with new or refurbished parts. Another thing people ask, “Is a rebuilt engine like new?” and the answer is yes, the engine will perform like its an entirely new engine. Its a very tough form of engine repair, but it is worth it as it can be a lot cheaper than a whole engine replacement. If you are able to get an engine rebuild, it is worth it. Engine rebuilds cost upwards of $4,000 but an engine replacement costs anywhere between $3,000 to $7,000. Just like any auto service, there are always pros and cons. If you are needing an engine rebuild, its good to know what the advantages and disadvantages are. Less Expensive: Engine rebuilds are going to be a lot cheaper than an engine replacement. High Performance: Since engine rebuilds require repairs or complete replacements for parts in the engine, the engine is going to perform a lot better than before. Eco-Friendly: Because you are extending the life of your old engine, you are being more eco-friendly because you are cutting down on manufacturing and energy costs. Better Fuel Economy: An engine rebuild can help your entire car have better fuel economy since it has been fixed to drive a lot smoother. Take Time: This type of engine service takes at least one to two weeks to rebuild the engine. Expensive Depending on Size: While a rebuild is going to be less expensive than an engine replacement, if you have a larger engine then the rebuild is going to be more expensive. Resale Value: If you plan on reselling your car, there are some people who don’t want to buy cars with rebuilt engines. Many people who are having issues with their engine tend to ask if they should get an engine rebuild or replace for their car. Honestly its all going to depend on the extent of damage to your engine. There are a couple of reasons why an engine replacement should be done in place of an engine rebuild. When your auto mechanic takes a look at your engine, they will check to see what shape the engine is in. If there are literal holes in the engine, that’s a reason that an engine replacement is needed. If you are driving your car and it stops running and makes a loud noise, that is also a good indication that a replacement is necessary. Also, if an auto mechanic inspects the engine and determines that a rebuild and replacement would be the same cost, its worth it to get a complete replacement. 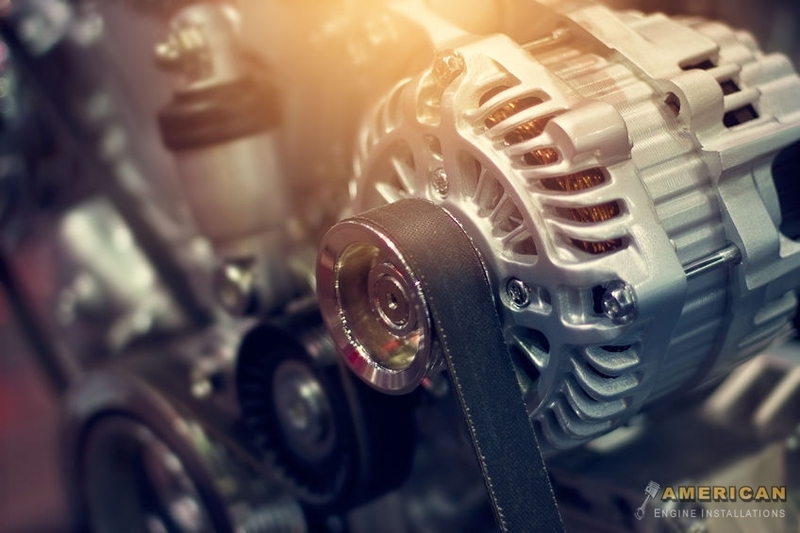 If you are asking, “Should I replace my engine?” and you haven’t had your engine maintained in a long time, you have a ton of oil puddles under your car, and there is a ton of noise from your engine, you probably need to go the replacement route. How Do You Know If You Need an Engine Overhaul? We always hear the term engine overhaul and assume that it is a completely different service than an engine rebuild, but the truth is that its the same exact service. The reason we are including it is because these terms are used to describe completely different services when they are actually the same. Knowing when to get an engine rebuild or overhaul can prevent you from getting a complete engine replacement. If you have been noticing that your engine is misfiring, you have a head gasket leak, or extreme oil leaks, its worth it to take it into a mechanic to see if a rebuild or replacement is needed. If you think you need a engine rebuild in Marietta and Atlanta, GA, call American Engine Installations! We are able to inspect your engine parts, replace engine parts that are damaged, clean parts so that your engine is running as it should. Just like any type of restoration service like home restorations, you need an experienced person who knows what they are doing–you can be sure that when you take your car into our auto repair shop, we will have your engine working better than before. Contact our office by dialing (404) 289-9997! Posted in Uncategorized on April 8, 2019 by American Engine Installations. ← How Can I Make My Car Engine Last Longer?